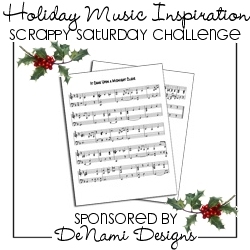 Welcome to another Scrappy Saturday Challenge!! 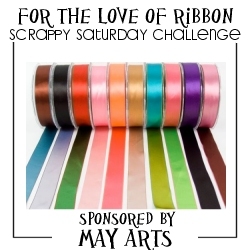 This weeks challenge is about ribbon, the most used craft supply (i think) lol! Your challenge is to use ribbon on your project(s) ... any ribbon. For this challenge we will be choosing TWO WINNERS!! Our Design Team has come up with some beautiful creations to get your MOJO flowing! May Arts is a leading distributor of high quality ribbon products, serving a wide variety of merchants from large retail outlets to home-based business in the craft and scrapbooking, gift, stationery, quilting, fancy food, floral, interior design and jewelry industries. Since its founding, May Arts has built its business on a foundation of quality products, affordability, and outstanding customer service. To read more about our history, please click here. In 2008, May Arts responded to customer demand by creating a sophisticated online store to combine personalized service with convenient, anytime ordering. If you have any questions about our new online store, please feel free to contact us directly. We look forward to serving all of your ribbon needs! Be sure to visit the online store HERE and check out the blog HERE for lots more inspiration! My ribbon is by May Arts, love this ribbon. I used the cute set called My Silly Valentine by Lawn Fawn ... love it! And the hearts are done with felt from PTI. Your challenge: This weeks challenge theme is "FOR THE LOVE OF RIBBON" ... make a project of your choice using ribbon. How to play: Just link your project below via Linky Tools, on SCS using WMC39 or to the new Wee Memories challenge gallery on Flickr, HERE. My Design Team and I will select 1 Winner, Fab 4 and Honorable Mentions after the challenge ends. The winner will be posted Sunday along with the Fab 4 designers. TWO winners will receive a prize pack from May Arts full of RIBBON! Your prize must be claimed within 72 hours of the announcement. Rules: 1) Become a follower of my blog if your not already. You must be a follower to play. 2) Please only submit creations that were made after the time this challenge was posted, links posted from old blog or gallery posts will not be counted. 3) Please provide a link to this challenge with your entry on your blog or with the keyword WMC39 in your gallery. 4) Maximum number of times you can enter - 2. Deadline: The deadline for this challenge is next Friday, Jan 21st at 11:59 PST. The winners will be announced on Sundays to give more time for the design team to pick our winner and Fab 4. Such a fun card, Jenny! And I LOVE that May Arts trim! Gorgeous! 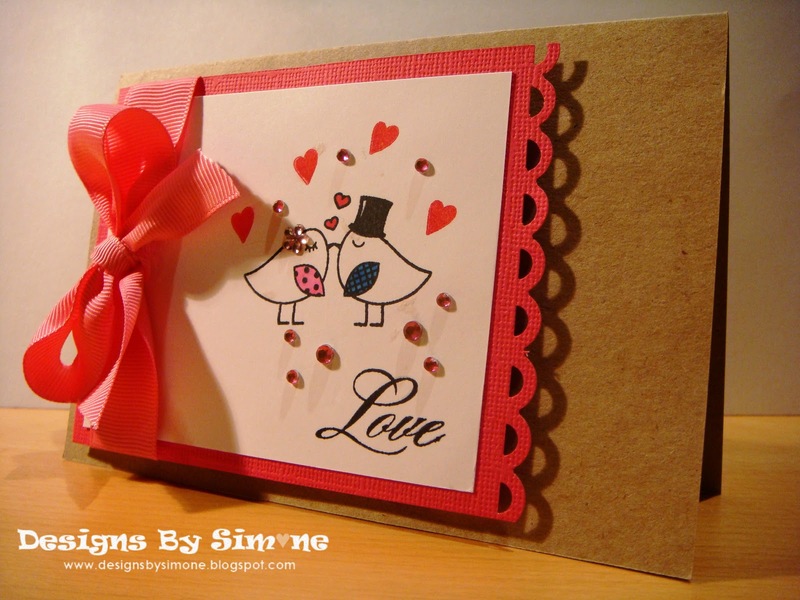 Your card is adorable, Jenny! Love that sweet ribbon & the twine! 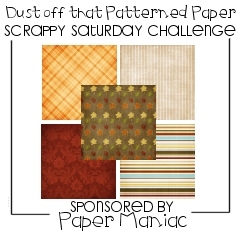 I love me some yummy ribbon, so this should be an easy challenge! 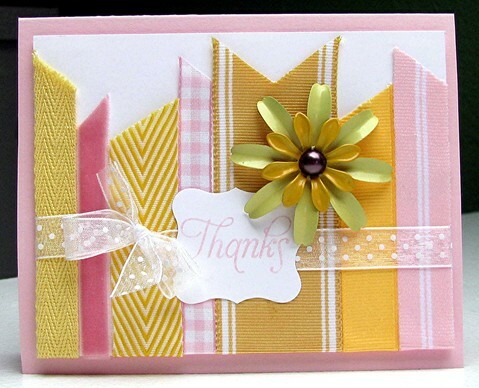 Jenny...your card along with the DT's are just fabulous! 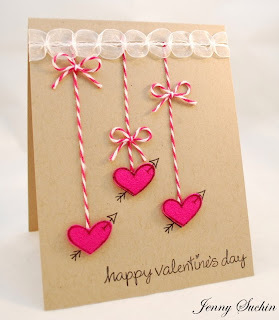 I love the fun ribbon you used at the top of those suspended hearts! Oh I love the different takes on the challenge. Great DT samples! So fun & cute! I just became your 1000th follower and I will be back with a card submission! So excited! I am entering for the first time and hope to make it a habit! Thanks for the opportunity to craft! Beautiful cards from everyone & I LOVE May Arts ribbon .... What a fun challenge. Super challenge! Great inspiration for us...thanks!!! Thasnks for the fun challenge. 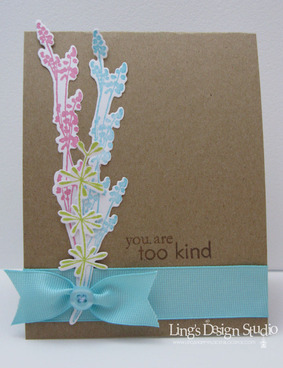 I just started to incorporate ribbon in my projects but Im beginning to love it.